Whirlwind of Surprises: OMG...#Disney & #Marvel, how could you tempt me like this!? OMG...#Disney & #Marvel, how could you tempt me like this!? I told you there'd be more superhero sequels coming out, didn't I? And of course, Iron Man, who so many of you are in love with, is coming out with Iron Man 3 on May 3, 2012. Hey Disney, did I mention? I'm quite athletic and I think I'd be a great addition to the movie. Heck, it'd be like a Bond Girl, except better! 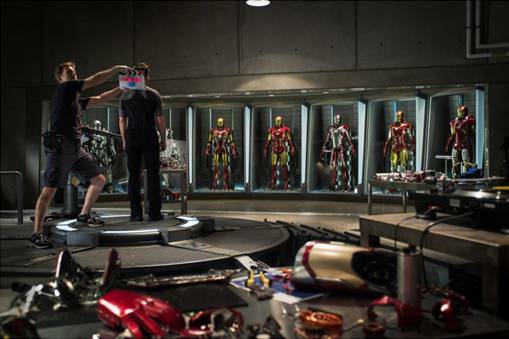 :P LOL...I can only dream...here's a sneak peak onto the set of Iron Man 3! Back to the latest news from Iron Man 3...woot woot! They've started filming it in Wilmington, North Carolina and they are also going to be filming in locations in Raleigh/Durham, North Carolina, Miami, Florida and China. Shameless plug here...I'm Asian...I speak multiple languages! Pick me, pick me! Directed by Shane Black and based on the Marvel comic book series, first published in 1963, “Iron Man 3” returns with Robert Downey Jr. as Tony Stark/Iron Man, Gwyneth Paltrow as Pepper Potts, Don Cheadle as James “Rhodey” Rhodes and Jon Favreau as Happy Hogan. And wow...Stan Lee is even one of the executive producers! How cool! The hilarious thing is the SO keeps asking why Disney is doing Marvel films? The answer? Disney acquired Marvel in 2009. Good buy, I'd say! Now, am I the only one who can't wait until next May? Any thoughts of what the plot will be this time around? 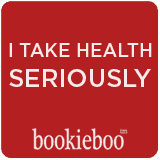 Well, besides the obvious a$$-kicking fun! Have you checked out the Iron Man Bonkazonks I reviewed just the other day?? We're going to be giving one away too! Totally can't wait for this one! Wish they'd announce the Mandarin as the villain already though! I absolutely cannot WAIT to see this! So excited! Wow I had not heard about Iron Man 3 yet. Is it coming out in 2013? My husband and I love all of the Marvel movies, so I can't wait! Awww.. man... this looks awesome!